LUXURIOUS BLUE WATER PERFORMANCE YACHT BUILT to CROSS OCEANS or SAIL in LESS THAN 4 FEET! The Southerly 57RS was designed by Ed Dubois and Southerly Yachts design team: First to be a no compromise, safe, elegant, world cruising yacht that can easily be sailed by two. Second criteria was to make her a powerful and fast sailing yacht that takes full advantage of the trademark Southerly Swing Keel. When the keel on this 57ft yacht is fully up she draws only 3 foot 6 inches and can go places you can only imagine! When fully extended the foil shaped keel reaches a depth of 10 feet 9 inches! Giving you a pointing ability that other cruising yachts can only dream of. In moderate air, sailing at 30% to the wind is what you can expect! If you wish, all points of sail can be enhanced at the push of a button, tuning the keel depth to achieve maximum performance. To enhance performance even further “Tristan B” has a carbon rig, rod rigging, hydraulic bowsprit and a very high quality sail inventory. All sail handling is push button! 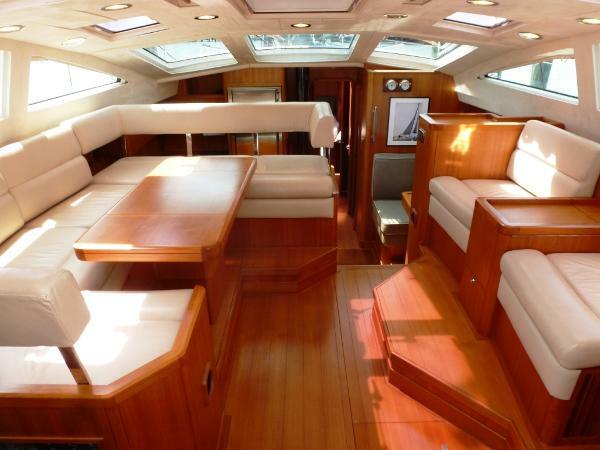 The interior of “Tristan B” is beautifully finished in high quality Teak and Very Well Appointed. The raised salon provides panoramic views that the owner and guests can enjoy while dining or sailing. 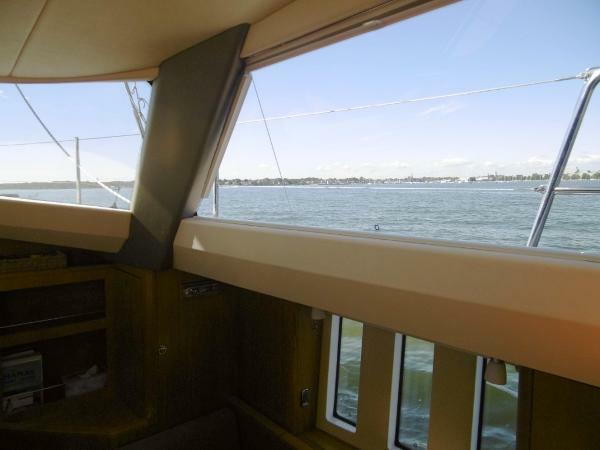 The navigation area is also raised to provide an excellent line of sight from inside the yacht. Further, the very complete electronics suite includes remote auto pilot and full engine controls for those long cold delivery nights. 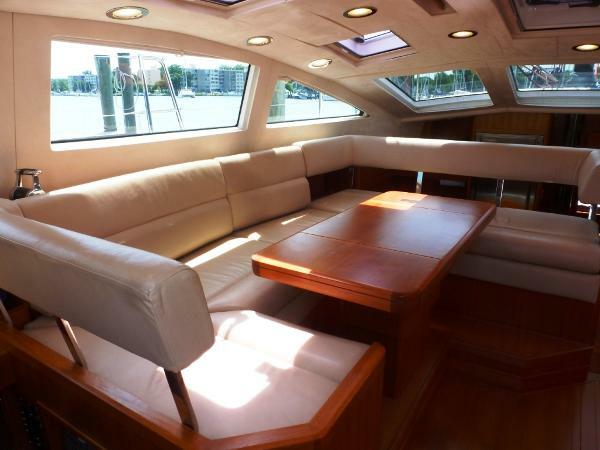 The following listing and pictures will provide you with an overall impression of this yacht. 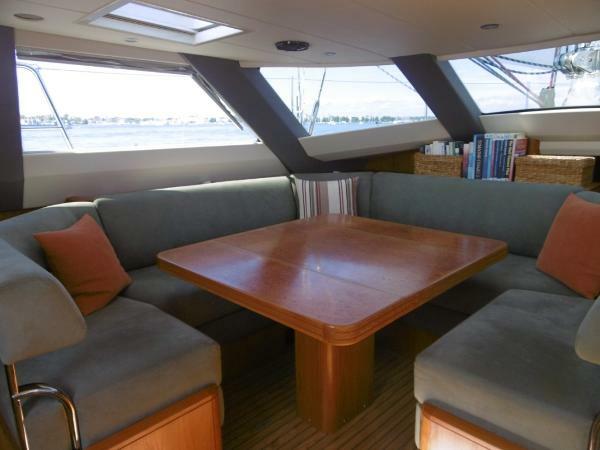 However the only way you can fully appreciate the beauty and quality of “Tristan B” is to spend some time aboard. Please contact us now to set an appointment to see this very fine yacht! MAGNIFICENT LUXURIOUS BLUE WATER CRUISER WITH A VARIABLE DRAFT 3' 5" - 11' PACU - CRUISING WORLD BOAT OF THE YEAR WINNER 2018! 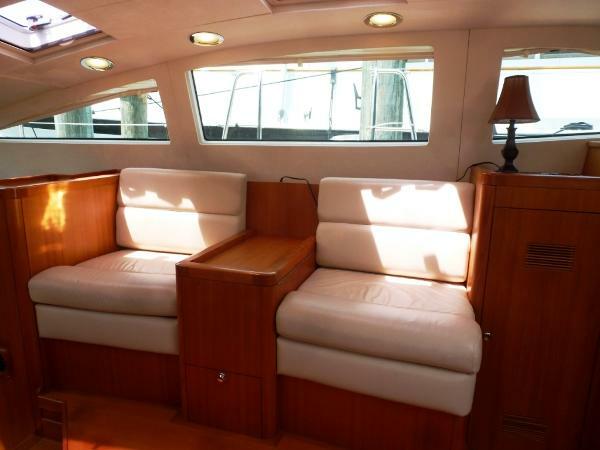 This one owner boat has been kept in immaculate condition. You may have seen her in the Annapolis Boat show last October where she competed in a strong group of contenders and Won the Cruising World Best Full-size Cruiser Award! A truly elegant raised salon with panoramic views. Stunning master stateroom, large inline galley, engine room, guest stateroom and a 3rd cabin are just a few of her many features! This is the owners 2nd Southerly and after sailing her for 4 years – through the Med, across the Atlantic, in the Caribbean, the Bahamas and finally to the U.S. – they are now ready to sell her! A few of her many features and upgrades: Push button swing keel easily lowers & raises. Stop at any depth you desire from 3’ 5” to 11’ Large mid cockpit with twin helms and aft deck with seating In boom furling with double powered furling headsails Upgraded sails to Spectra Dyneema SRP Cruising laminate sails Raymarine electronics Panoramic views from true raised salon seating with large deck salon windows Teak joinery upgrade 3 staterooms, 2 heads with separate showers, inline galley aft Hot air heating system with 8 outlets Concertina blinds fitted to deck salon windows Bow and stern thrusters Engine room with door Volvo 154 hp engine with extra single lever gear control at nav Cummins Onan Generator USA spec with holding tank system Spectra Catalina 300 watermaker LG washing machine Sugar scoop transom with watertight storage compartment Solar panels, life raft, Zodiac dinghy, outboard and much more…. 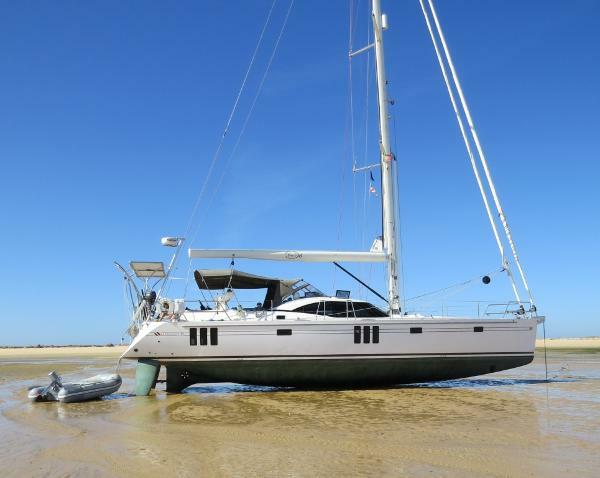 A GREAT opportunity for you to own a spectacular World Cruising Yacht that can take you anywhere you want to go - including the ability to sail in less than 4 feet of water! Many more pictures available - Or - call now and make an appointment to see her for yourself!